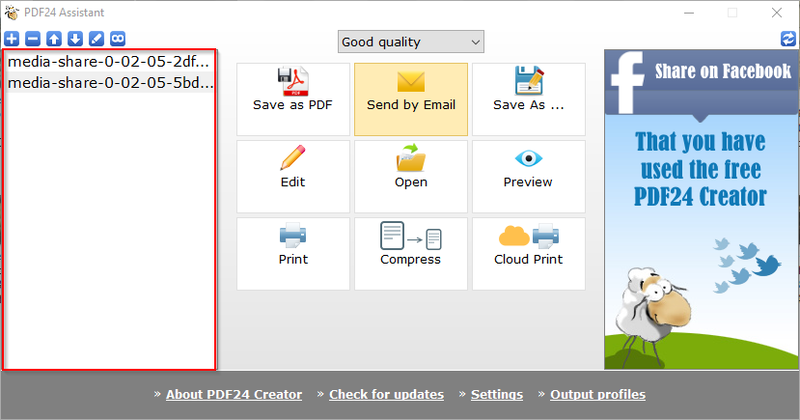 I wanted to join some scans into a single pdf , and they're all in png. My requirement is simple, I've got some images and i want to combine them into a single PDF. I googled out everywhere and the closest I've found was this article from this gentleman here for the excellent tool graphicsmagick . However, if you're not a CMD lover, you probably won't be fancying the idea of writing down all the images in the order you want them in the PDF. PDF24 gives you the image combining feature out-of-the-box and it takes you three simple steps. 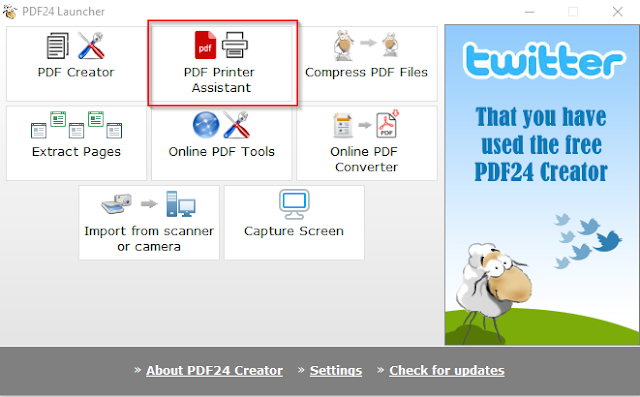 1- Download PDF24 ,install and run (duh! ), the interface looks like the following. 2- From the PDF , click the PDF printer assistant , and drag the images to the left pane like below. Note that you can use the up and down arrows to sort the images as you'll like them in the final PDF. 3- Now , use the join button (the one with the infinity symbol ) . The program will join them into one item. 4- Finally , use the Save as PDF and choose the file location . That's it , have a blast.